We spent our first evening at The Big Texan Motel and, after checking into our motel room, went next door to the restaurant's Beer Garden where we enjoyed some signature appetizers and libation while talking to our host, co-owner Bobby Lee, about the history of his family's world-famous establishment and his vision for the future. 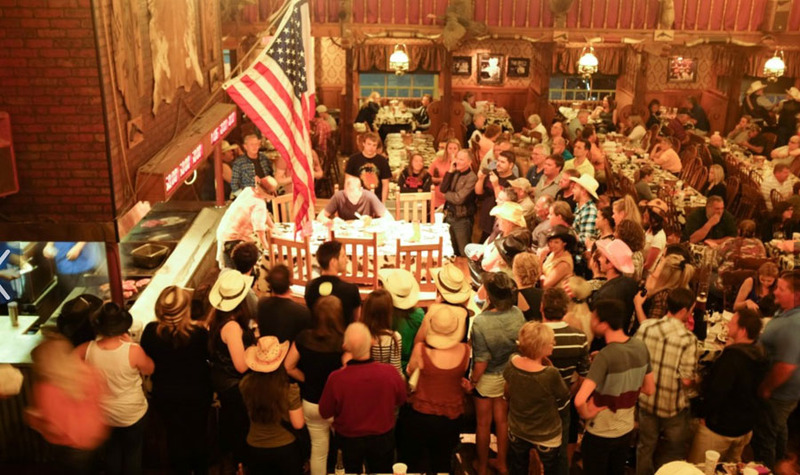 Later, during dinner in the dining room, we had the chance to observe two competitors tying their luck at the 72-ounce Steak Challenge table while we feasted on our own delicious, but more modest-in-size steaks. 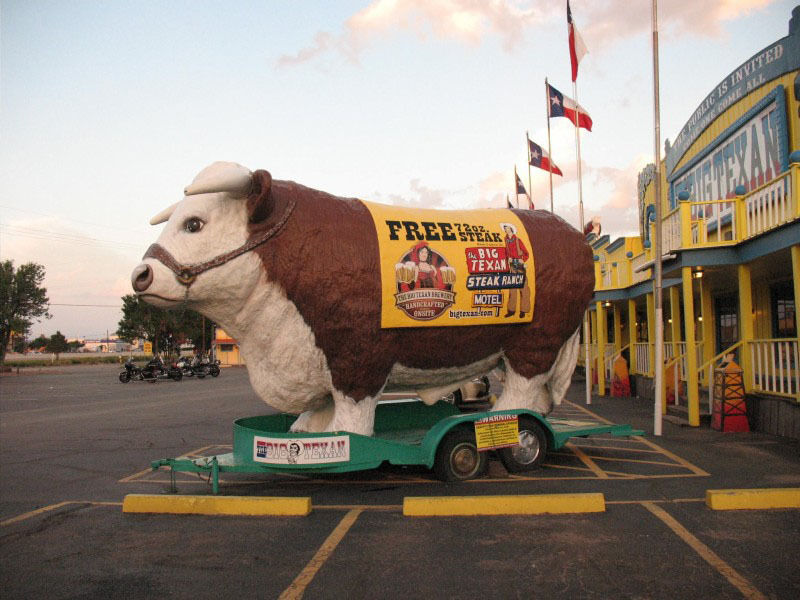 The Big Texan, which opened in 1960, was originally on Route 66, but moved its location to Interstate 40 in 1970. Nonetheless, it is still known globally as an iconic Route 66 stop. In regard to the uniqueness and importance of a road trip on Route 66, Bobby Lee says, "As good as audio-visual, high-definition, and technology presentation have become, nothing beats a presentation by those living and working in a venue that represents the past--on what America is based. I have so much more appreciation for human flaws, for the guy who pumps gas, spins tales about the old days, towns that gather to have festivals to keep the old road alive, and an Indian who puts on a headdress to relate an historic fact. In regard to The Big Texan, it is meaningful for me and my brother, Danny to continue the work of my father, R.J. "Bob" Lee." 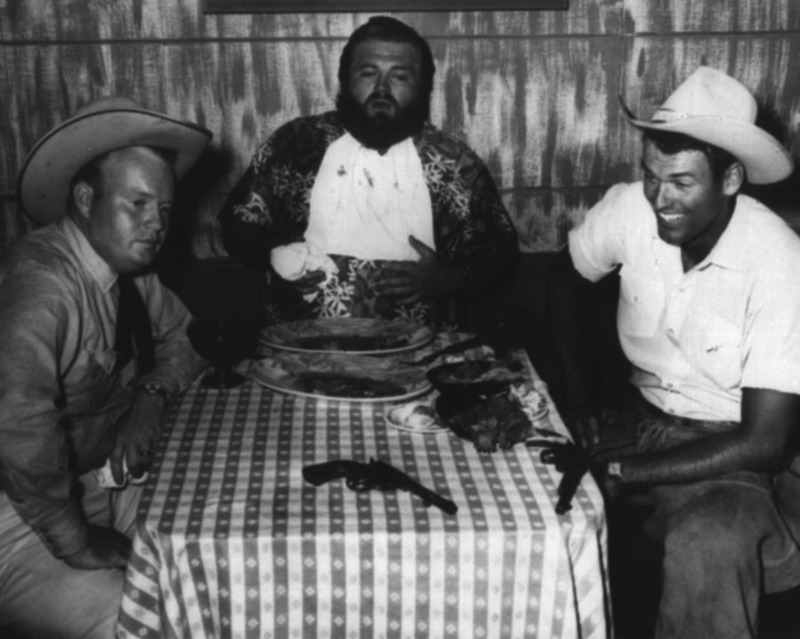 "One of the most gratifying parts of being an overseer, continuing the tradition of The Big Texan, is to hear our guests tell us about things they remember about their visits here as kids, and seeing their enthusiasm in sharing it with their children--anything as simple as sitting on a rocking chair on the porch to shooting a gun in our shooting gallery." Adding some background information, Bobby notes, "I was born in Dallas in 1958. 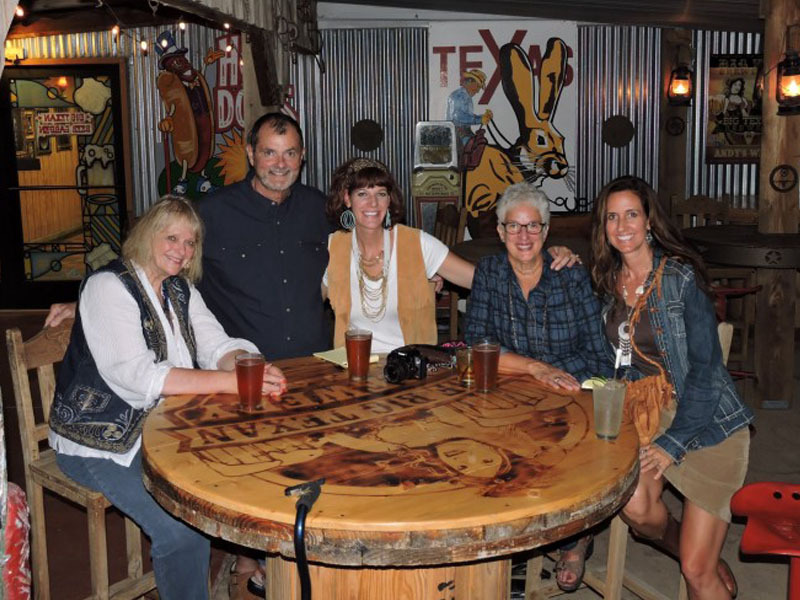 My family moved to Amarillo in 1959, where they raised my seven siblings and me. After graduating from West Texas State University in 1983 I traveled a few years after that chasing professional sports dreams. I played ice-hockey during the 1983-84 season with the Portland Royals and was a professional wrestler in the Pacific Northwest and Texas-New Mexico areas. 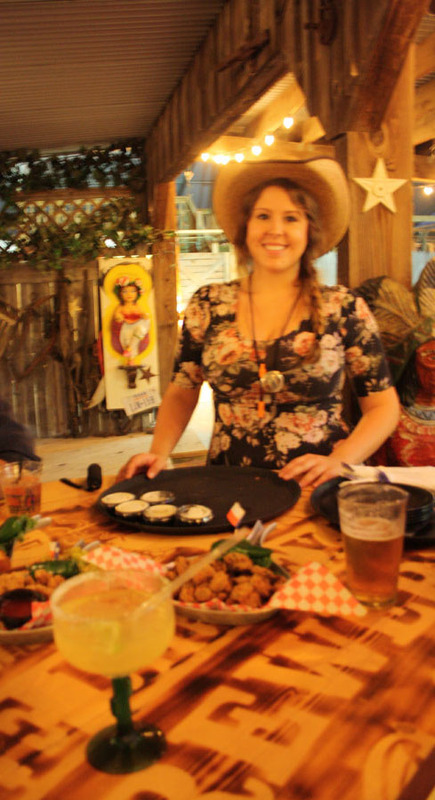 I returned in 1990 after Father's death, to take over operations at Big Texan. My wife, Tina Watson and I met at a St. Patrick's Day party at Big Texan and we have two sons, Robert Tyler and Patrick Paul--both attend college in Dallas and are on the same college ice-hockey team." 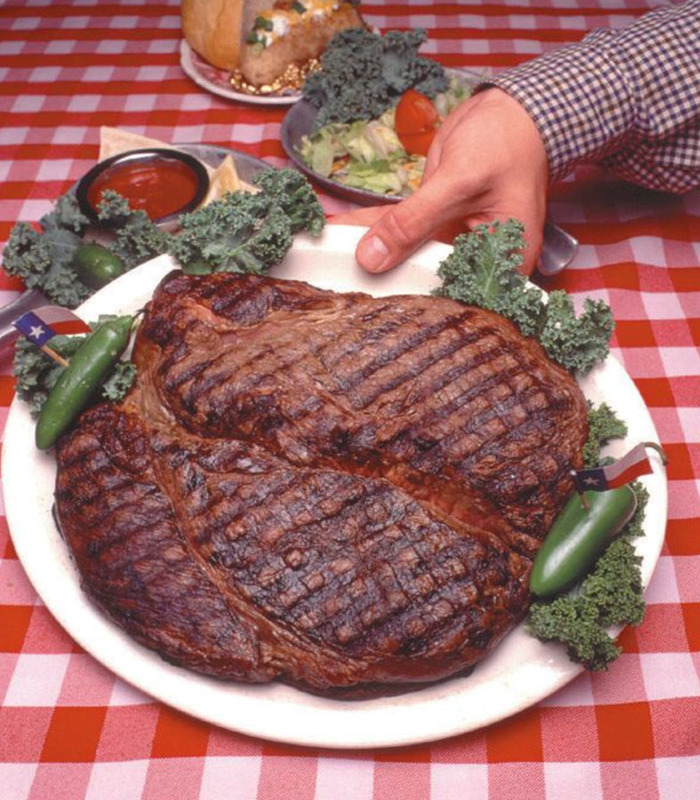 That's what the Lone Star State is about, and when you couple the biggest and the best with a history that is only a couple of generations removed from the wild days of the West when cattle covered the prairie and cowboys were the stuff of legend, you find folks hankering for a big taste of those yesterdays. 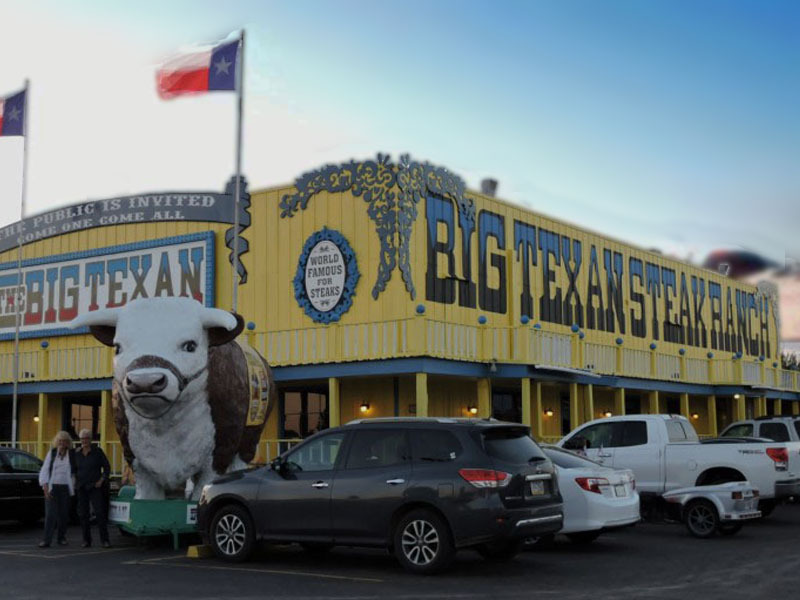 The Big Texan Steak Ranch has become a landmark and a legend in its own right, because it has a longstanding history of serving up the biggest and the best of what travelers want to find in Texas. They trek across Interstate 40 from east and west, knowing that they”ll encounter a 120-mile stretch of the nation's largest contiguous state. It will take them two hours to get a glimpse of what makes Texas famous, instead of the two days that would be required via any other route. 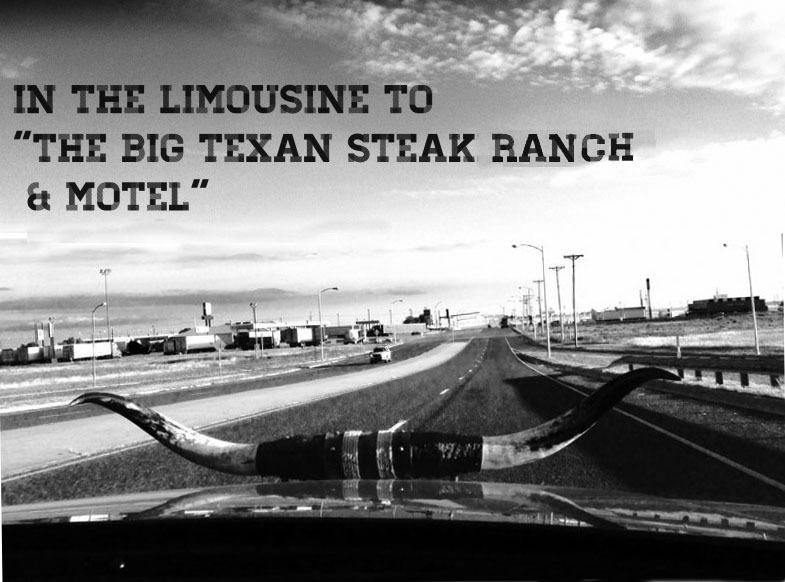 And sitting just about in the middle of that stretch, in Amarillo, is the world famous Big Texan Steak Ranch.